In this page, you can manage and validate the configuration of the system. Go to SETTINGS-> VALIDATION CONFIGURATION to validate. 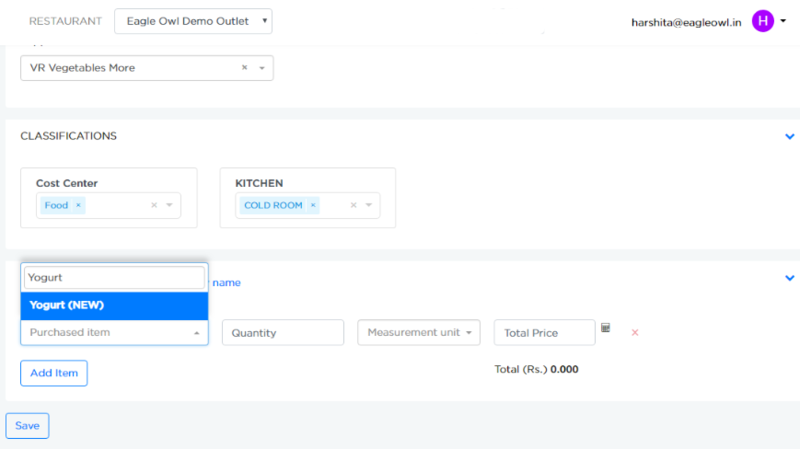 If selected, it allows user to add new SKUs and units. Consider, a purchase of "Yogurt" is added in "Central Store"
Now, "Yogurt" will be suggested while adding in other outlet. 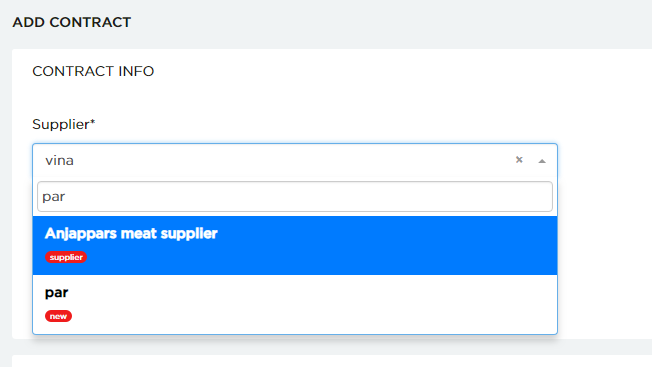 If selected, allows user to add contract information and items. How to enter the contract details ? 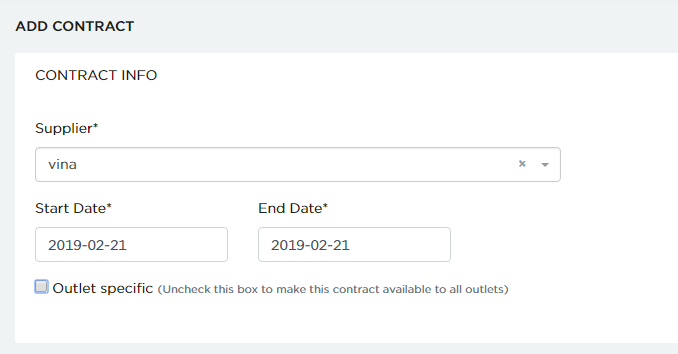 Example 2: Enter the time period of the contract (The start and the end date). Note: By default, any added contract is visible across multiple outlets. 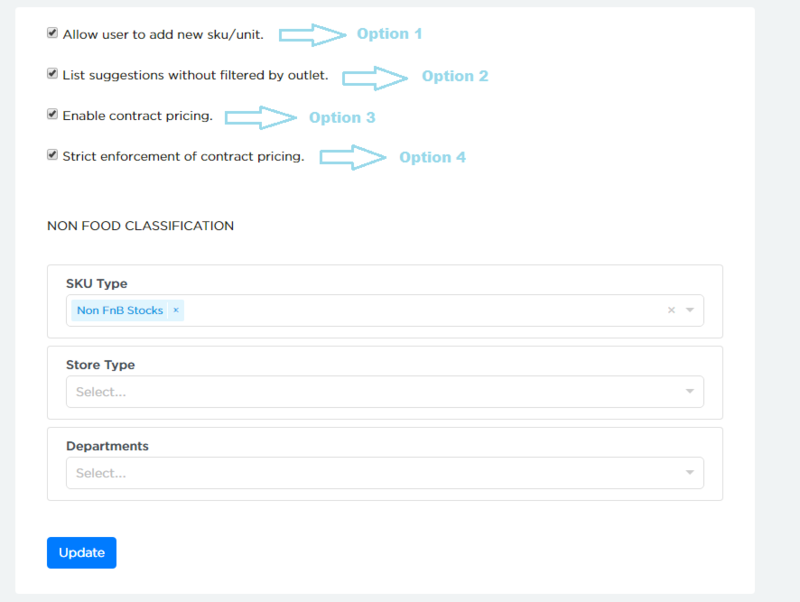 If this contract is specific to a particular outlet, choose this option. Note that this contract will not be visible in other outlets, if this is selected. 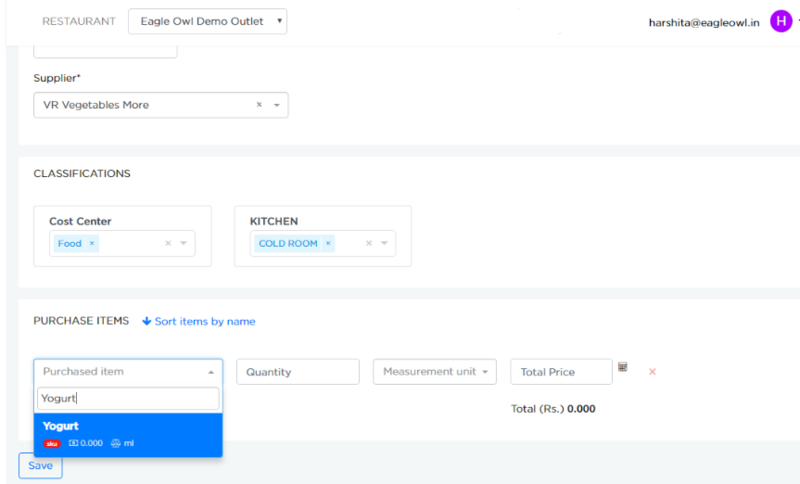 If selected, the user will not be able to edit the price of a particular item which is in the contract for that particular period. This is done to eliminate the Non Food category items from COGS calculation. 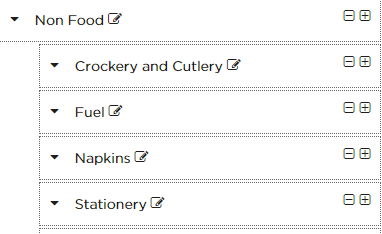 Create a Non-food category as a parent tag and list all the non-food items as children tags using Categorization and Tags. Click here for detail. Click Update to see the changes based on selected options. NOTE: These changes in the configuration will be reflected in the organization.